Finally Friday is all about breathing a sigh of relief that the week is over with a photo and its “short” quote. Yes – similar to Wordless Wednesday, but created for those who have no capacity to be wordless such as myself. I’m Italian and I am just getting over trying to say things in 140 characters or less on Twitter. Today I share of photo of something I haven’t used in over ten years. In fact, since the original copy was expired three years ago, the one I have now is brand-spanking new. 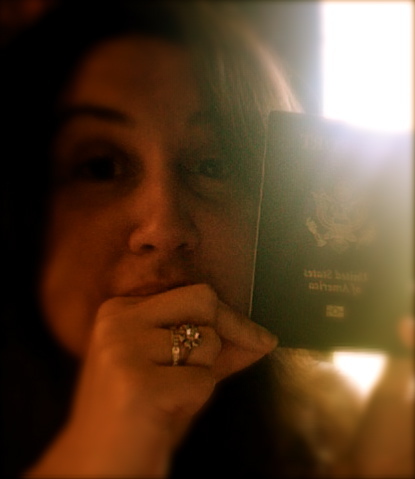 It’s my passport and soon I will be leaving for Europe for a much-needed vacation with Hubby and without our children. I am excited. I am nervous. This trip couldn’t be possible without the help of both my parents and my in-laws. We are very blessed not only that our children have both sets of grandparents but that they get to spend some quality time with them. So there will be no Finally Friday next week but I promise to have plenty when I return. Now it’s your turn. Do you have a Finally Friday to share? Include your blog post in the link below or simply share with me on Facebook.